“It looks like a free-form grid, but anyone who has spent time in the original chapel knows what it is,” Thomas says of her repurposed creations. 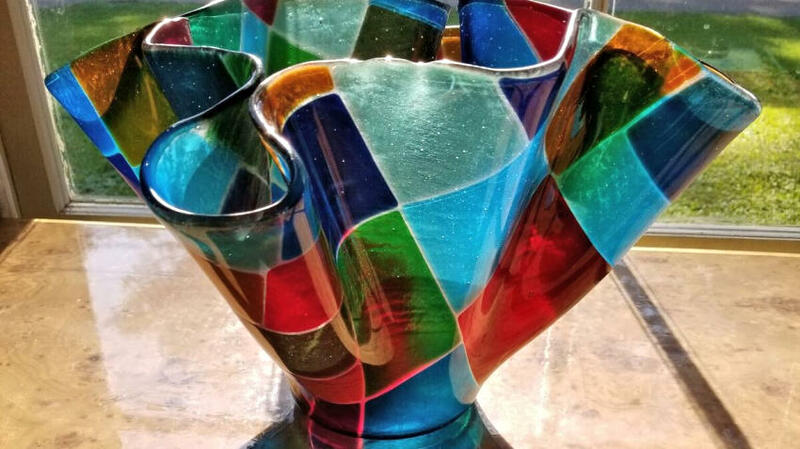 “When I’m creating something, I still love to keep the original integrity in mind, and this was a direct link," Thomas says of the fluted vase made from the former chapel's windows. Thomas, who also runs the box office for the USA International Ballet Competition, was at her IBC desk when she got the call from Sister Mary Dorothea Sondgeroth about the project. Stained glass that once brightened the old St. Dominic Chapel continues to brighten lives. Repurposed into art pieces, it lent a special glow to Catholic Charities’ recent Bishop’s Ball fundraiser at the Country Club of Jackson. 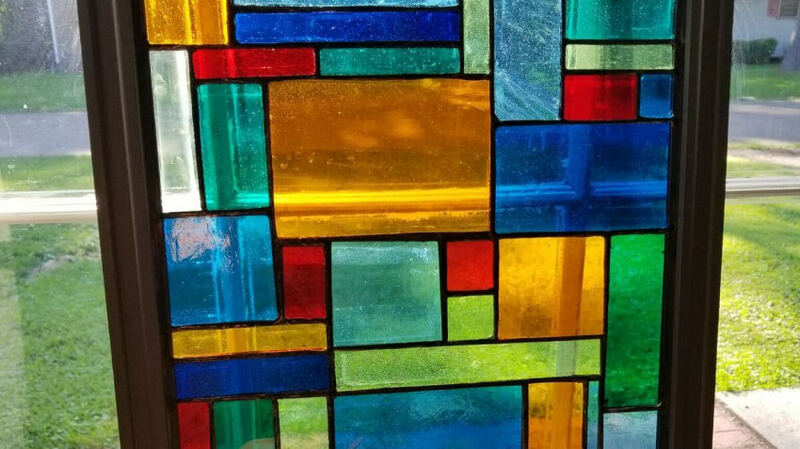 Mississippi glass artist Jenny Thomas used glass from the original St. Dominic chapel windows as inspiration and materials in the creation of three artworks that were showcased in the event’s live auction. Claude W. Harberger, president of St. Dominic Health Services, and Lester K. Diamond, president of St. Dominic-Jackson Memorial Hospital, were honored with the Samaritan Award at the Bishop’s Ball. Before the original chapel, built 53 years ago, was demolished to make way for the new one now in its place, its windows were carefully removed and crated. “Sister Dorothea had the idea this year, of creating something with the nostalgia of the hospital and history of the hospital, and she thought about the windows that were sitting in storage,” Thomas says. The artist met with Sister Dorothea and Janice Knight, St. Dominic corporate services manager, to explore ideas about fashioning art pieces from the old chapel’s stained glass. Thomas worked up some sketches. 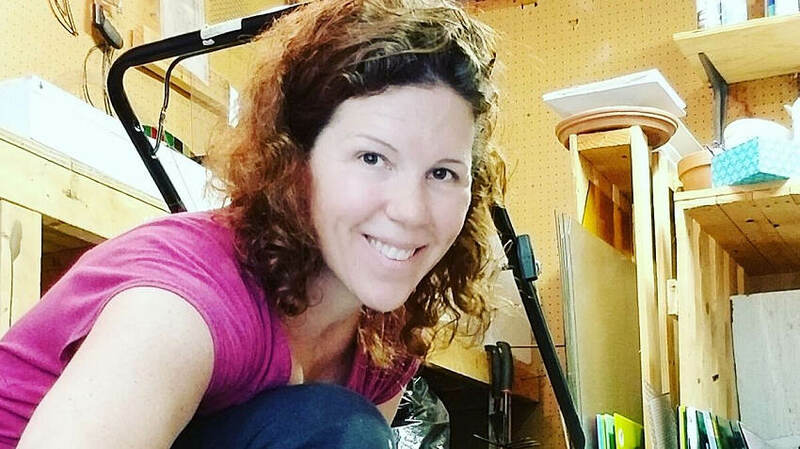 Recycling is practically part of Thomas’ DNA: she also rehabs old wine bottles and more into arty beverage glasses and planters, and is an avid thrifter who resells great finds. Thomas picked up a few of the windows, photographed them, studied them and carefully disassembled them for the repurposed art forms that retained a nod to nostalgia. Descriptions tied in the spiritual element, with the vase’s curves and folds representing the chapel’s embrace and support to those in need, and the devotional lantern as a tribute to St. Dominic himself. The art pieces earned “oohs and aahs” at the Bishop’s Ball, and the nostalgic dimension boosted the bidding, “one of our goals in the beginning,” Knight says. Dr. Art Leis, a neurologist at Methodist Rehabilitation Center who won the lantern at auction, says he’s always loved stained glass, and his wife, Donna, used to work with stained glass. “When I saw this, it was an inspiration … kind of a guiding light.